Reports are generated every 10 minutes based on information that has been transmitted from the device and stored in our database. If you want to receive reliable reports, enter settings and set the time at which the work day begins and ends. 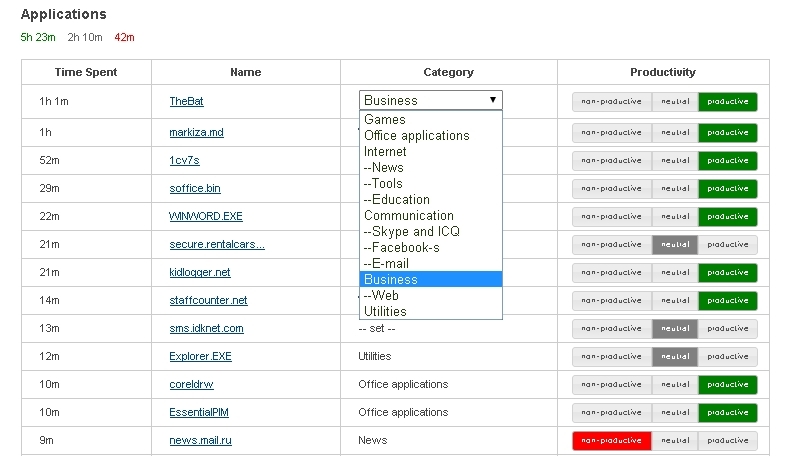 In addition, it’s good to visit the category page and set how productive each application and URL is for your company. 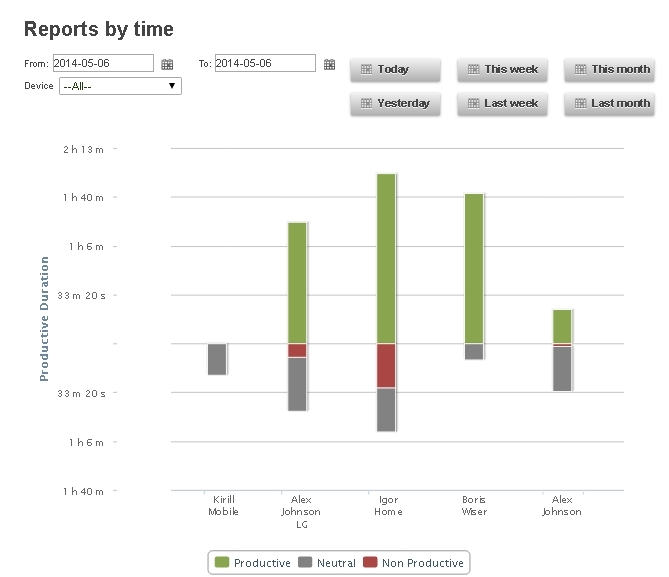 Reports by time clearly show how productively an employee at your company has been working. The total working time is divided into three values: productive, unproductive, or neutral. Under the image you’ll find a table labeled Applications, where you can specify under what category each application should be placed in the future.